36 Exclusive detached villas with private swimming pool in Santiago de la Ribera, 900 metres from the sea. 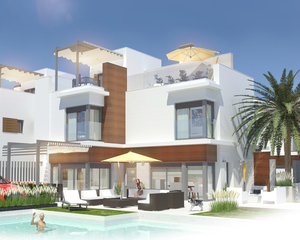 Stunning 3 bedroom 3 bathroom modern villas with private swimming pools. Have been thoughtfully designed to provide the perfect individual private contemporary living space, featuring double glazed glass sliding doors that open directly on to a large outer space with private swimming pool, enclosed gardens and off-road parking. Included a large terrace and the possibility to add your own private solarium for 15.000€ extra to enjoy the sun all day long. Air conditioning and white goods included. 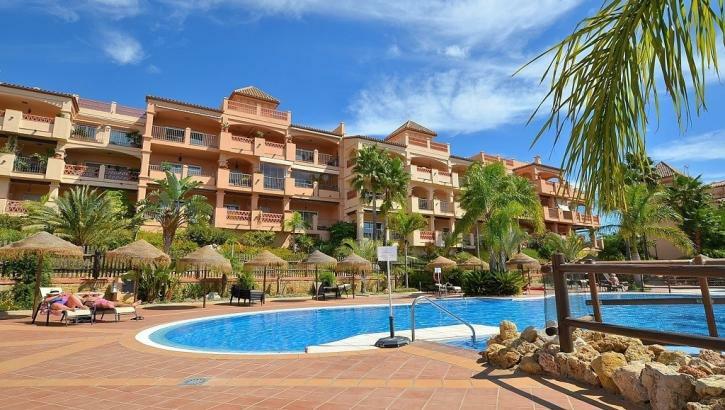 Located in a centralised, established area just 5 minutes to the beaches in Santiago de la Ribera, the main high street and just 20 minutes from Corvera (Murcia) airport. The promenade La Ribera is an amazing place to walk either in day or evening, with countless restaurants to choose from, and some great tapas bars just by the sea or by the ever-popular marina. This area offers a variety of sports activities, including seasonal water sports and surrounding golf courses very close by! Brand new beautiful three bedroom detached villa on independent plot with private swimming pool in Santiago de la Ribera, Murcia close to the sea. Key ready options available. 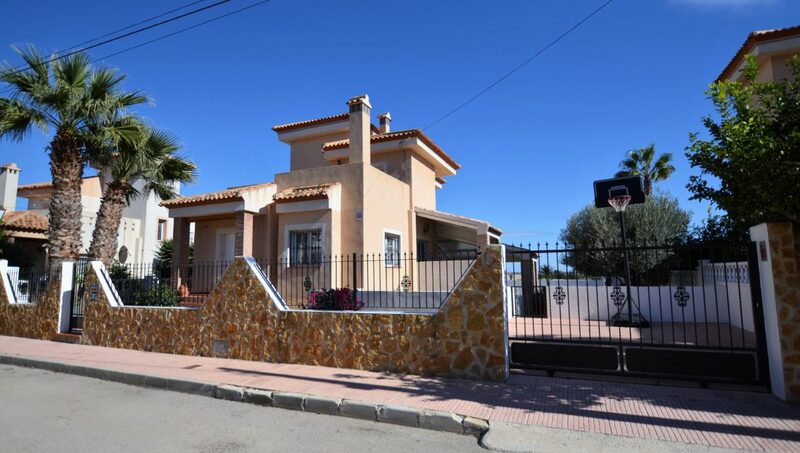 This stylish villa is within a residential area in the traditional Spanish town of Santiago de Riberia near San Javier and 15-minute walk to the beaches of the Mar Menor. Offering high-quality contemporary interiors and finishes, landscaped garden, off-road parking and sun terrace. 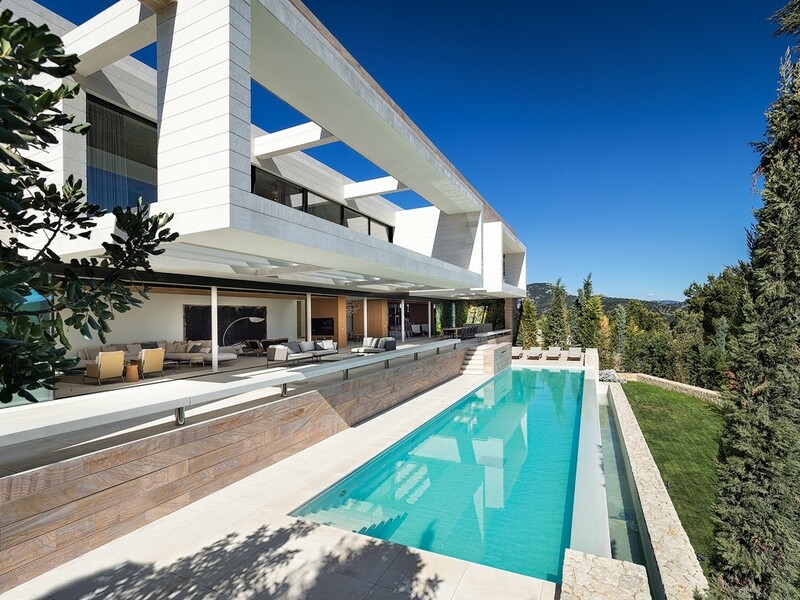 The developer has various sized plots within the surrounding area, allowing the buyer to choose from a selection of ultra-modern villa designs and bespoke the interiors to three or four-bedroom layouts with either two or three bathrooms. All are designed over two levels with varying arrangements to include ample terracing, closed or open kitchen and bright open-plan living and dining areas. All offer good-sized plots and feature a private swimming pool and off-road parking. Built to high-specifications they feature modern, very high-quality fixtures and finishes: - Main entrance armoured door, with intercom system - Porcelain interior flooring - Quartz Staircase - Motorised Blinds in bedrooms - High Quality fitted kitchen with Quartz worktops - Pre-installation of ducted air-conditioning - High-quality bathroom fitments with underfloor heating - Fitted wardrobes with drawers - Walk-in wardrobe in master suite - Smart Home management system - Exterior terraces - non-slip porcelain tiles - Off-road parking with automatic gate Santiago de la Ribera is a pretty village in Mar Menor, Costa Cálida. With 4 km of beaches, enjoy the warm waters of the Mar Menor, which attract crowds of tourists every year in search of relaxation and leisure. Its excellent situation makes easy to get to Cartagena, Murcia and Orihuela Costa. It has a wide range of hotels and restaurants, and a very rich local gastronomy. In addition, Santiago de la Ribera has all kinds of amenities, which make it one of the favorite destinations of the Costa Cálida. 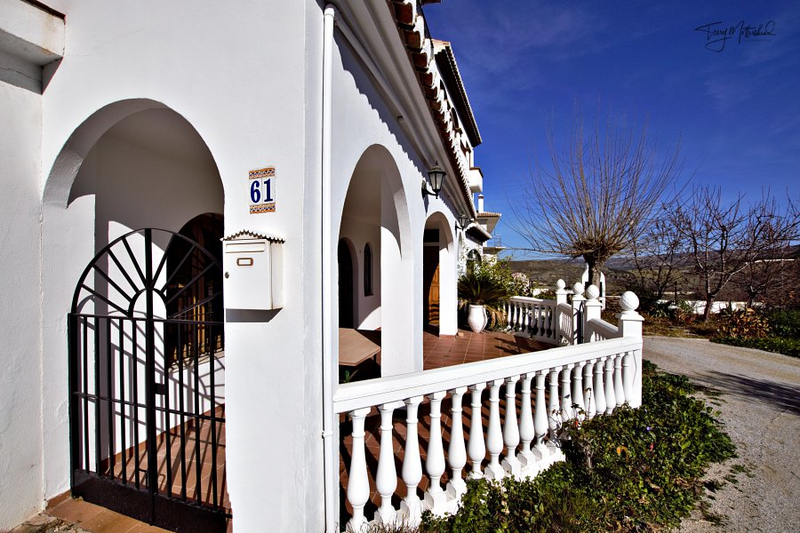 A fantastic opportunity to buy a detached villa near the sea. 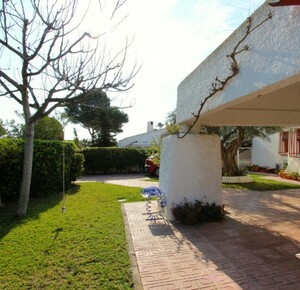 Independent villa with a big private garden and a swimming pool in Santiago de la Ribera. 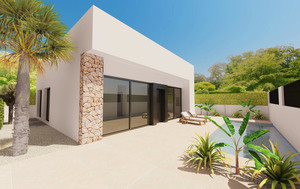 Brand new 12 modern style detached villas in Torre de la Horadada, 600 metres from the beach. These properties boast a good size living and kitchen area, 3 bedrooms, 3 bathrooms, terraces, solarium, private swimming pool and off road parking inside the plot. Santiago de la Ribera is located on the Mar Menor which comes under as the coastal town of San Javier. The town is well known for its beautiful blue flag beaches with fine sand and crystal clear waters. There is a lovely Marina with plenty of tapas bars, fish restaurants, ice cream parlours with views across the Mar Menor. You can walk along the promenade to other local beaches like San Pedro del Pinatar or Lo Pagan. Santiago de la Ribera is well connected with the motorways to Alicante and Cartagena/Murcia. Only 5-10 minute drive to a variety of golf courses. 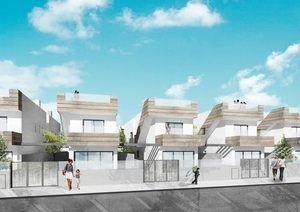 New development offering 12 semi-detached villas in the centre of Santiago de la Ribera, Costa Calida, Murcia The houses are distributed on two floors plus solarium and a basement of up to 49sqm. They consist of a spacious living room with large windows, modern open kitchen (appliances included) with lounge/dining area, 3 bedrooms with fitted wardrobes and 3 bathrooms. Outside there is a terrace, landscaped garden area and a private swimming pool. These villas are delivered with pre-installation for ducted air conditioning and installation for alarm and video intercom. Santiago de la Ribera is a municipality located on the Costa Cálida and bathed by the Mar Menor. Only 340 meters from the beach and 700 meters from the Marina, with its wide range of leisure activities. Modern luxury detached villas, all on one level, with 3 bedrooms and two bathrooms, private swimming pool & solarium. These stunning, new build – modern design villas come with oversized bedrooms with fitted wardrobes, open plan kitchen (all appliances included) with dining area and lounge, large terraced area with private swimming pool, interior and exterior lighting (LED), off road parking and solarium (also included in the price) Ideal location … Located in a popular residential area just a couple of minutes walk to supermarkets, park areas, and Dos Mares shopping centre – 5 minutes walk to the sandy Mar Menor beaches. Detached villas 3 bedrooms - 2 bathrooms Large roof solarium Private swimming pool Plot sizes from 200sqm to 300sqm SHORT BUILD TIMES!